star-studded ceiling. For "__________ Walk" (whose name will be revealed during the walk), Andrea Williams will lead participants through listening, whispering and creating public art together in this exquisite container of secrets. We will experience the sensual grandeur of a time-stretched and slowed down walk amidst the urgency of holiday travel and motion. 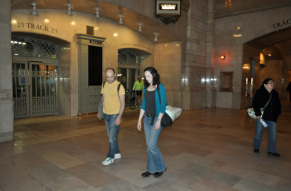 Directions: Grand Central Terminal/42nd Street is serviced by the 4, 5, 6, 7, and S Subway Lines. 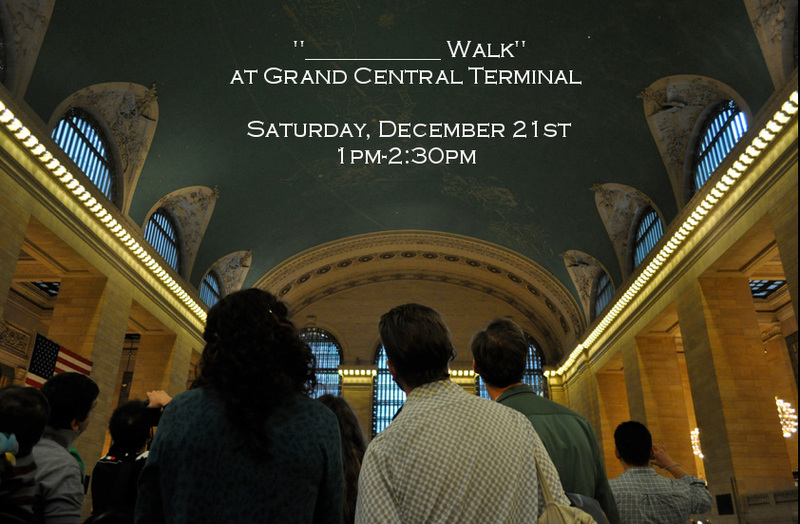 Meet Andrea at Grand Central Terminal in the Main Concourse. When standing at the central information booth in the Main Concourse, look for Track 24. The walk will meet at Track 24, as seen from the information booth. RSVP for further information. Cancellation Policy: Sorry, no refunds for cancellations.